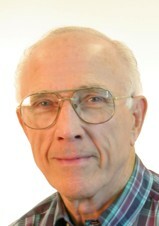 He joined SRI in 1959 as a Research Engineer, taking on assignments in telecommunications technology while working on his Ph.D. at Stanford, which he received in 1969. He was named Assistant Director of the Telecom Department in 1973, and in 1978 became Director of the Telecommunications Science Center. In 1984, he was named Vice President of the newly formed Computer Science and Technology Division. One of the most important of SRI’s projects in high-speed networking was the Packet Radio project, sponsored by ARPA to provide reliable data communications. The big advantage of a radio-based packet-switched network was the speed of deployment and the resulting fault tolerance that could be achieved. He, along with Ron Kunzelman and Stan Fralick, led this important program. They built the first ARPA packet-switched demonstration radio network in the San Francisco Bay Area, including one station mounted in a van, which could be demonstrated to visiting sponsors on the way to lunch. He supported the development of the first hand-held computer terminal. This device could be used as a very small and lightweight portable telecom terminal. It was also developed into a phone terminal for the deaf. When he began his career at SRI, the heart of telecommunications technology was focused on analog hardware, mainly antennas, radio design, and telecom components. He steered SRI's telecom work to the more modern and sophisticated digitally based computer networks, where software development was the key. SRI’s preeminence in telecom technology throughout this transition was due largely to his contributions, his technical knowledge, his management capabilities, and his foresight. He is known for his book, "A Heritage of Innovation" which condenses SRI's first half century of research.